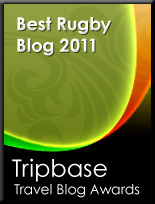 TOTAL FLANKER...a rugby blog: Who's the Daddy? While it is never good to see someone lose their job, the decision of Eddie Jones last week to let Messrs Farrell, Rowntree and Catt go is the correct one. Of the departing coaches it was always Farrell who provoked the biggest debate. While I have no reason to believe that Andy Farrell behaved with anything other than 100% professionalism and integrity when it came to selection, with his son Owen in the mix the accusations of nepotism were always likely to surface, especially during periods where Farrell Jnr was struggling for form and/or the team struggling for fluency. It's a question of perception, both externally and within the squad. My son, to my delight, has started to play for the local club Under 13s - a team coached by a dedicated group of Dads (of which I have become a recent albeit peripheral member). Parental involvement is expected and indeed necessary for the team to exist. The England national team, however, should not be run like the local Under 13s. Whilst Farrell Jnr was involved, Farrell Snr should have been nowhere near the England coaching set up.